What happens when an aerospace engineer is also an ice cream enthusiast? 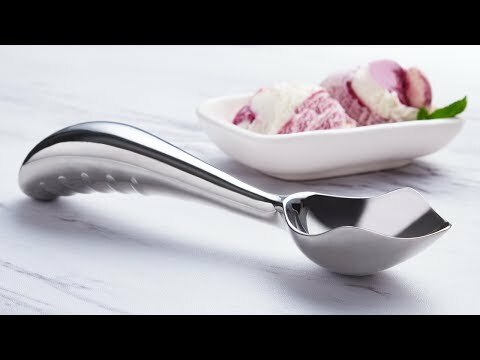 You get a space-grade, ergonomic, ice cream scoop that’ll last you a lifetime. Midnight Scoop was engineered so that you use your arms—not your wrists—when you scoop, to avoid strain. Enjoy. Crafted from aerospace-caliber stainless steel, Midnight Scoop is Made for a Lifetime, too. Which means as long there’s ice cream, you’ll have a comfortable, reliable way to scoop it.